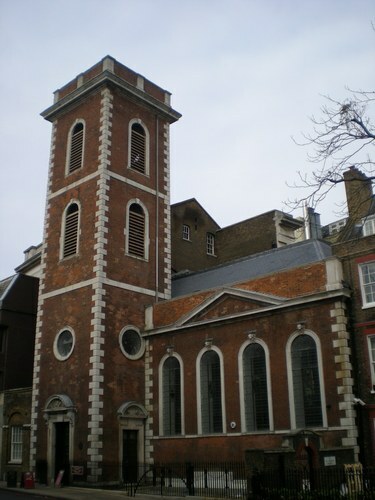 St. Thomas’s Church is practically the only remaining building of the original site of St. Thomas' Hospital in the borough of Southwark, London (9A St Thomas Street). "St. Thomas was said to be 'ancient' in 1215 AD. It was run by a mixed order of Augustinian monks and nuns, dedicated to St. Thomas Becket. It provided shelter and treatment for poor, sick and homeless and sheltered housing for the aged. (…) Over the centuries the hospital expanded, with the accounts of 1730 listing almost 5,000 patients being treated a year. 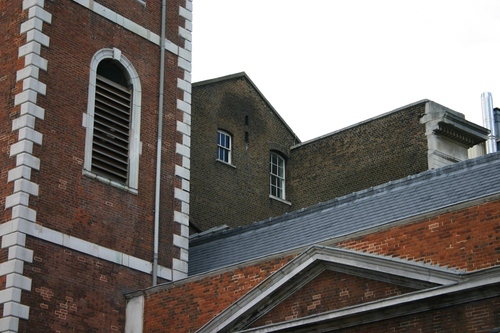 At the end of the 17th century, the Hospital and its Church were largely rebuilt in red brick"1. 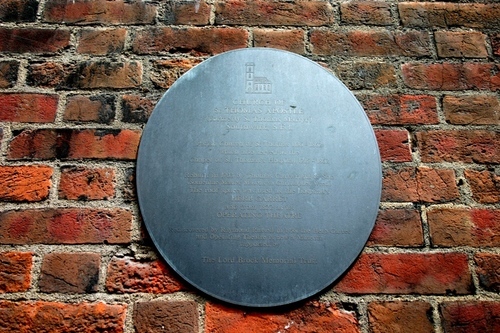 "In 1859 Florence Nightingale became involved with St Thomas Hospital, establishing her famous nursing school on this site. Following her advice, the Hospital Governors decided to sell its land to the Charing Cross Railway Company for redevelopment of London Bridge station. In 1862, the Hospital moved to its present site in Lambeth"2 and most of the old buildings were destroyed. 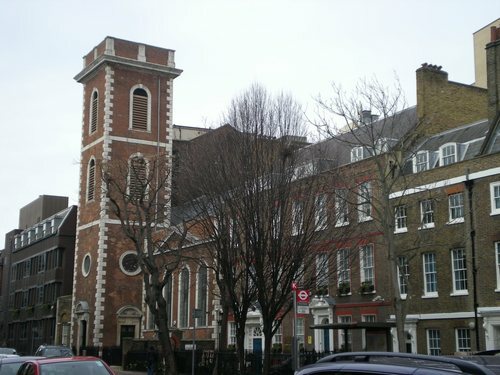 St. Thomas’s Church became redundant in its use as a church in 1899 and the parish merged with St. Saviour's, which became Southwark Cathedral in 1905. It was then used as the Chapter House for the cathedral, and there after used as office space by the Chapter Group insurance company. 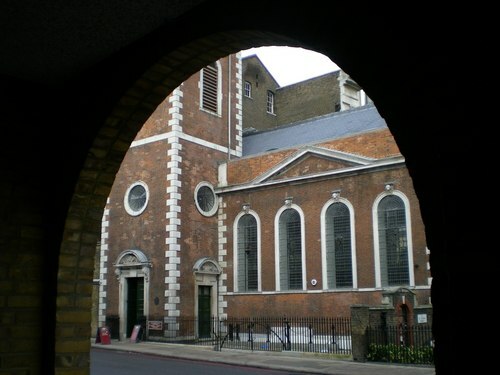 Recently, St. Thomas’s Church has been restored to its original prestige to preserve its historical features by using it as a Museum of the old hospital's Operating Theatre and Herb Garret. 1. The Old Operating Theatre Museum and Herb Garrett, Museum's official leaflet (2011), p. 1. 2. The Old Operating Theatre Museum and Herb Garrett, Museum's official leaflet (2011), p. 1. 3. The Old Operating Theatre Museum and Herb Garrett, Museum's official leaflet (2011), p. 1.